Crystal-clear, protective case that shows off the brilliant color of your iPhone 5c device. GemShell is clearly an amazingly protective and stylish iPhone 5c case. It offers sleek, hard-shell protection in a glossy one-piece, see-thru design that lets the iconic colorful look of your iPhone 5c shine through. 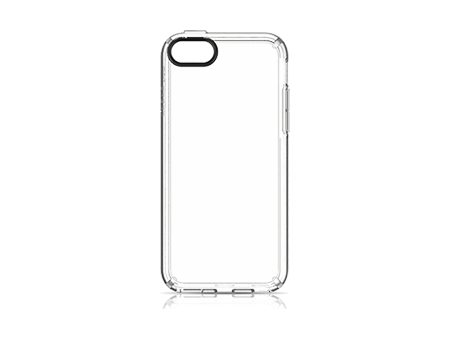 Made of hard, durable polycarbonate plastic, this jewel of an iPhone accessory also features a raised rubber bezel to protect your screen and prevent slipping when placed face down.